The earliest human artifacts found near the park date back almost 10,000 years, however, due to the extreme glaciation, it is doubtful that there was significant long-term habitation within the current park boundaries. The current native people who live in the area around the park are the Tlingit tribe, although other tribes such as the Haida may have also lived here in the past. Russian fur traders may have arrived in the area in the mid-18th Century, but there are no records of their visit. The first documented visit was by Jean-François de Galaup who in 1786 visited the area on foot to trade with the Tlingit. In 1794 the Vancouver Expedition, led by Captain George Vancouver of the British Royal Navy, documented the area and recorded the extent of the ice flow for the first time. 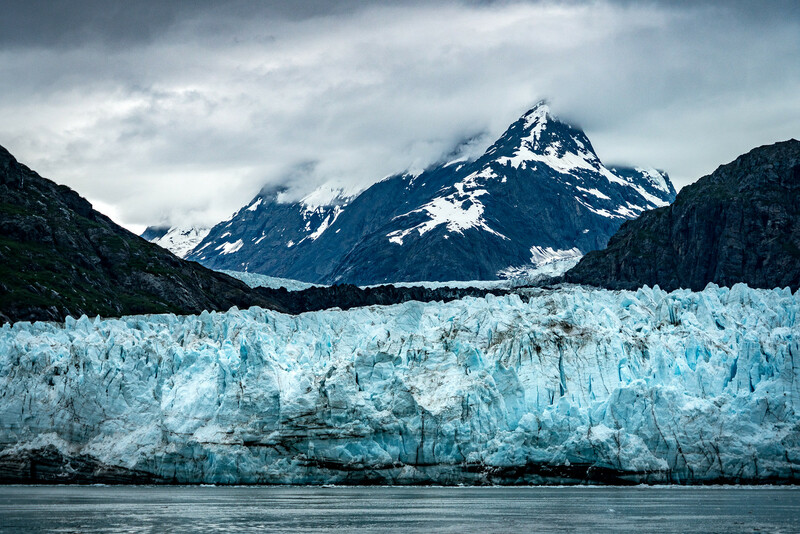 This is why more is known of the history of the glaciers of Glacier Bay than for most other glaciers in North America. The late 19th-Century brought naturalist John Muir to the park, where the glaciers helped him understand the glacial valleys in Yosemite National Park. 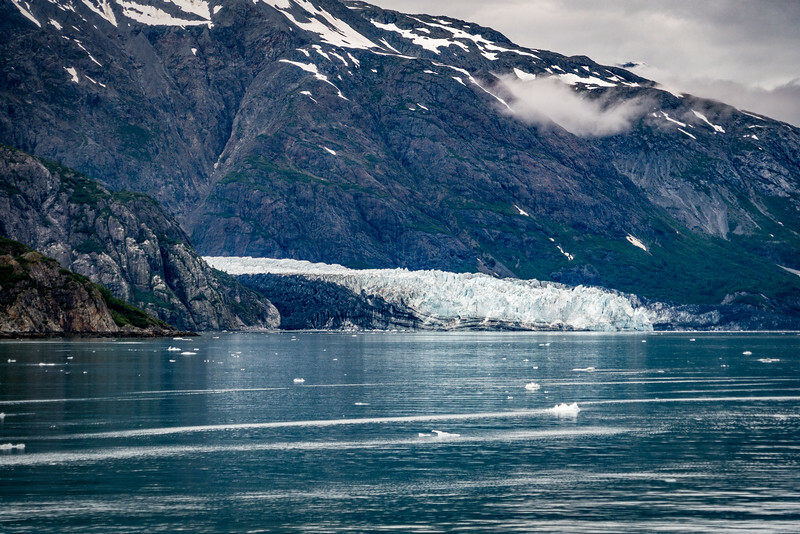 The coastal location made it one of the easier sites in Alaska for people to visit and on February 25, 1925, Glacier Bay was established as a National Monument by President Calvin Coolidge. The monument was subsequently expanded by Franklin Roosevelt on April 18, 1939, to create, what was then, the largest site in the National Park Service System. 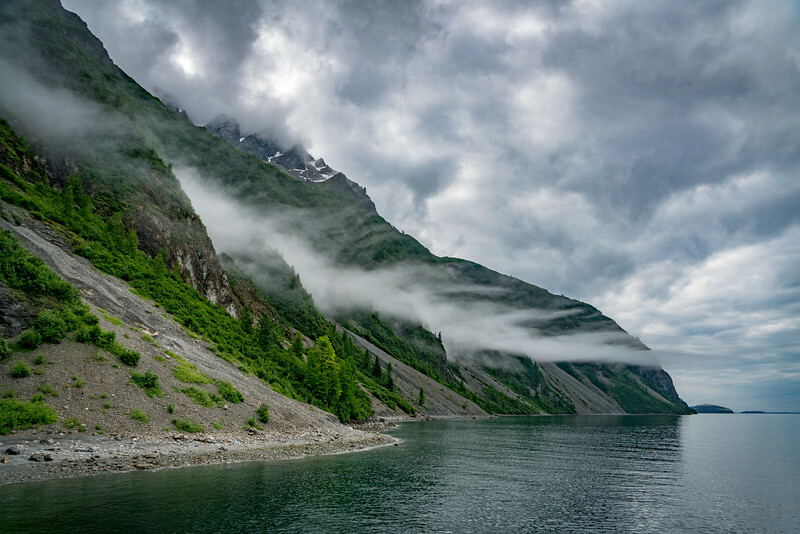 On December 1, 1978, Jimmy Carter expanded the national monument to include lands around the Alsek River, and then on December 2, 1980, Congress passed legislation to rename the site Glacier Bay National Park and Preserve. The highlight of any glacier viewing experience is getting to see glacial calving. This is when large pieces of the glacier break off and crash into the water creating icebergs. Of the seven tidewater glaciers, there are four which regularly calve icebergs, the most famous and popular of which is Margerie Glacier. 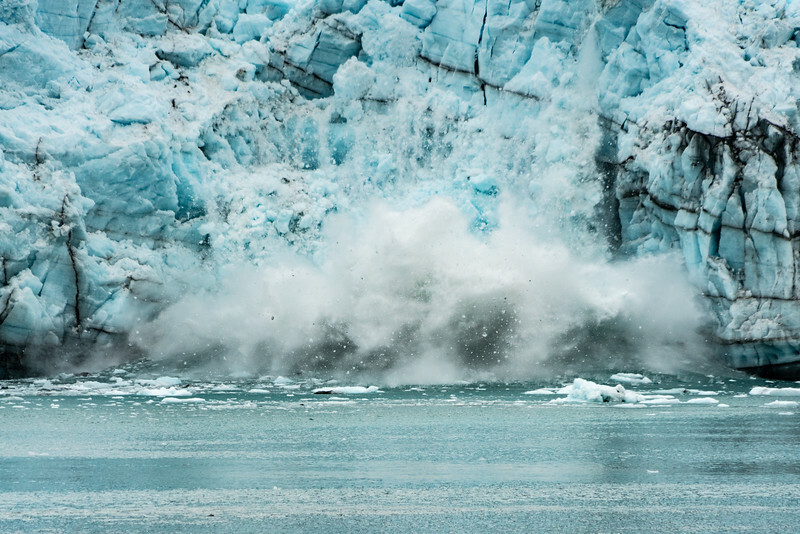 If you travel to Glacier Bay by cruise ship, expect to spent at least one hour or more parked in front of a glacier, waiting to see iceberg calving. This is one of a few places in the world where you can see this phenomenon and one of the best. When the glaciers break off, you will hear oohh’s and aahh’s from everyone on board the ship as if they were watching fireworks. 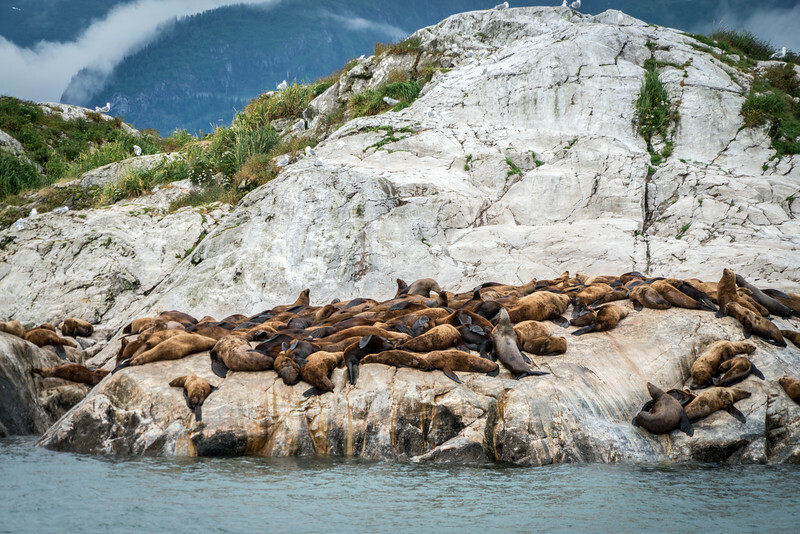 In addition to glaciers and iceberg calving, you will probably see wildlife along the shore of the bay. Sea lions will almost certainly be seen sleeping on rocks in the bay. 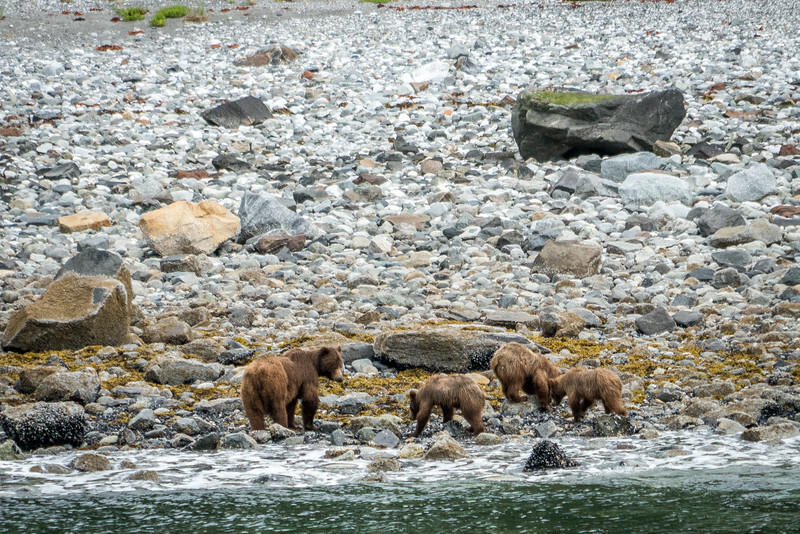 Brown bears can also be seen on the shore and depending on the time of year you go, you might get to see mothers and cubs. If you are lucky, you might also see wolves. Seabirds will definitely be part of the experience. Puffins are the most popular seabird and you can expect to hear people on the deck of the ship shout if they see puffins. In addition, expect to see alcids, guillemots, murres, and terns. Unless you are one of the few people who explore the park on foot, you will most probably be on the deck of a ship and will require the use of binoculars or a zoom lens for your camera. As noted above, the most popular activity in Glacier Bay is glacier watching from the deck of a ship. This is how 90% of the visitors to the park will experience it. However, just because most people visit by ship doesn’t mean that it is the only thing that there is to do. Kayaking is a popular activity for the non-cruise ship visitors who visit the park. There are several options for what you can do including day trips, as well as 5-10 day excursions. You can find kayak outfitters in the nearby town of Gustavus. Forest Loop Trail. 1 mile (1.6 km) . Rangers lead guided walks on the Forest Loop Trail every day at 1:30 pm when the park is open. While it is possible that you will see a whale on any trip into Glacier Bay, they do offer trips specifically for whale and wildlife viewing. The Glacier Bay Lodge offers morning and afternoon whale watching tours which leave from the city dock in Gustavus. Giant cruise ships are not the only option, or even the best option, for viewing glaciers. Every morning during the season, weather permitting, there is a day-trip boat which leaves from the dock at Bartlett Cove. 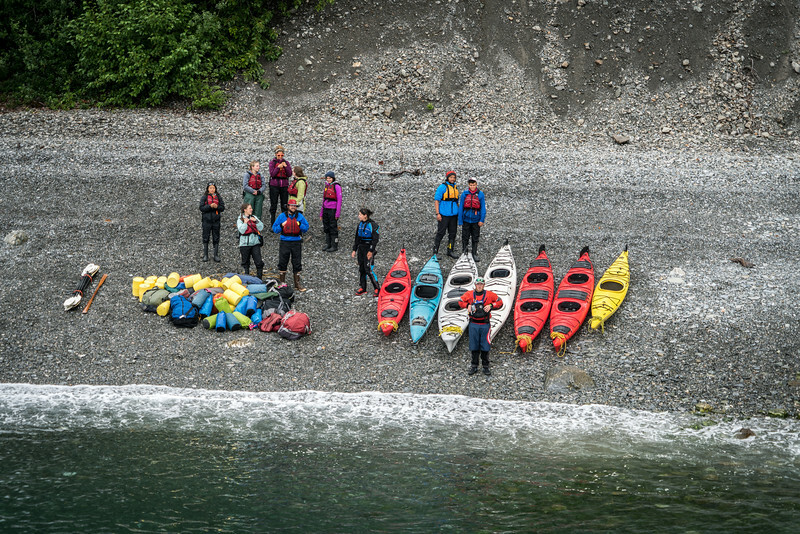 In addition to seeing glaciers, they also drop off and pick up backcountry hikers and kayakers. Contact the Visitor Center for information and reservations. Smaller charters are available out of the town of Gustavus for smaller groups and families. There are several things which are unique to photographing in Glacier Bay that you should be aware of before you. Ideally, you’d like to be stationary when you are photographing something. When you are on a ship, however, that is out of the question. The thing to remember is that taking a photograph on a moving object is not that dissimilar from taking a photo of a moving object. As Einstein showed, all motion is relative. To capture something when moving, make sure to use a fast shutter speed to minimize the blur of motion. If the ship is moving up and down as well as forward, try to time pressing the shutter button to when the ship is at the top or bottom of its vertical motion. If you see wildlife on the shore, you will need a powerful zoom lens to photograph it properly. The movement of the ship will exaggerate the motion of the lens. You should be able to clearly hear when an iceberg calves off of a glacier. There will be a massive groaning and crashing sound of the ice breaking off and falling into the water. The problem is, light travels faster than sound, and ships can’t get that close to the glacier for safety reasons. That means by the time you hear the groan of the ice breaking off, it has already happened. There will be a one or two-second delay between when the calving occurs and when you hear it. By the time you turn to photograph it, it might already be in the water. You have to keep your eyes open and have your camera at the ready to properly capture falling ice. It isn’t easy to do. The moment you see activity, you have to get your camera up and start shooting. Also, make sure your camera is in burst mode. Because this might be a once in a lifetime opportunity, make sure you check your camera settings before you get on the ship. Check your battery and make sure you have plenty of space available on your memory card. Given the remote location of the park and the lack of road access to the park, dining options are very limited. The town of Gustavus has several restaurants which are open during the season when the park is open. There are also markets and delis in town where you can buy your own food if you want. Gustavus is approximately 10-15 minutes away from the visitor center, outside the boundaries of the park. Inside the park, there is only one dining option, and that is the Glacier Bay Lodge Restaurant. The restaurant is not cheap, but the views are the best you will find in almost any national park. The park is technically open year-round, however, services are extremely limited or non-existent in the winter. The visitor center is open from late May to early September. Daily hours for the visitor center are 10:30 AM to 8:00 PM in season. There is only one hotel within the park and that is the Glacier Bay Lodge. The lodge has amazing views, and is in the heart of activity for the park. There are a few Hotels in Gustavus as well as accommodations on Airbnb. As the majority of visitors to the park arrive and stay on cruise ships, you do not see as many hotels as you would outside of other national parks. Most of the hotels are mid-tier places and there are no chain hotels in town. There is only one proper official campground in Glacier Bay, and that is near the Visitor Center in Bartlett Cove. Reservations must be made in advance. The Bartlett Cove campsite is a walk-in campsite which has no facilities for RV’s or other vehicles. Showers are available at the Glacier Bay Lodge. Backcountry camping permits are available from the visitors center as well. As of the time of writing, there are no RV parks in Gustavus. The closest would be either in Haines or Juneau. The vast majority of visitors to Glacier Bay National Park arrive via cruise ship. There are several companies which offer cruises which visit the park. Some of the popular cruise lines with Glacier Bay stops include Norwegian, Princess, Carnival, Holland America, MSC, Celeberity, Silversea, and Cunard. If you’d like the cruise experience but don’t want to be on a massive ship, I’d recommend Uncruise. Gustavus and the Glacier Bay Visitor Center in Bartlett Cover are not connected to the rest of the world via road. To drive to the park you have to take the ferry from Juneau to Gustavus. Please check the Alaska Department of Transportation website for the ferry schedule. As noted above, there are no RV facilities in the park or in Gustavus. The town of Gustavus has a small airport. Alaska Air has regular, daily flights from Juneau from early June through late August. The flight from Juneau to Gustavus is only about 30 minutes. If you fly via Alaska you can be routed directly to Gustavus from wherever you point of origin is. Alaska Seaplanes flys six timers per day in the summer and three times per day in the winter. Alaska Seaplanes offers more options, as well as year round flights, but you will have to collect your bags as the airport and physically go to the Juneau Seaplane Terminal. If you arrive by cruise ship, then all of your costs will be included in the price of your cruise. If you are not on a cruise ship, expect to pay more than you might otherwise pay to visit a national park. The lack of road access means that transportation will cost more than usual. Likewise, food and other items are usually more expensive because they have to be shipped in. Budget more than you otherwise would for visiting a national park in the continental United States. As the park is only open from late May to early September, the range of temperatures you will find is pretty limited. Expect high temperatures during the day in the 50s to 60s F (10 to 20 C). Temperatures seldom get very hot or very cold due to its location in the North Pacific. You should definitely prepare for rain, as the odds of rain in the summer along the Alaskan coast is quite high. This will probably mean a rain jacket, not just an umbrella if you plan on being out on the deck of a ship. 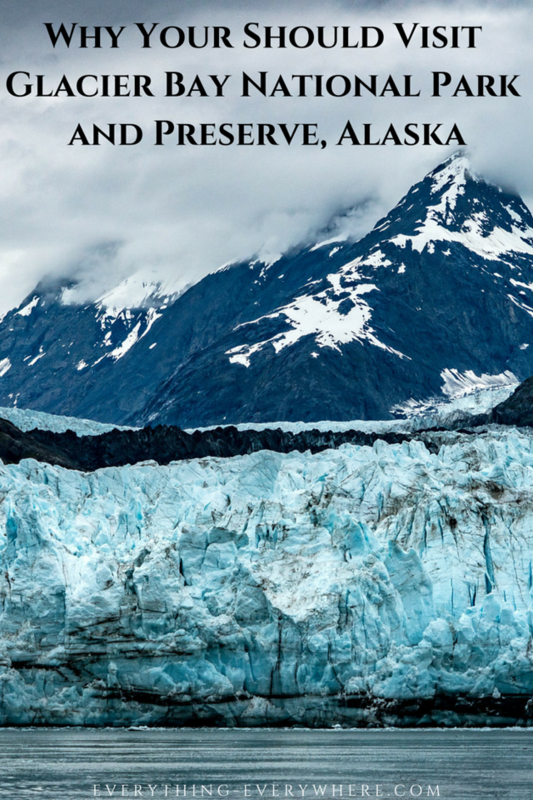 This was very helpful for planning a visit to Alaska. We will not be traveling by cruise ship, Looking at options with an interior tour and flying into Anchorage. Would you possibly know the optimum months that we may be able to see ice calving on a trip to Glacier Bay on small ship glacier viewing? Also, what possibility would we see any whales in Glacier Bay? Anytime when the park is open you should see glacier calving. August is probably the best as the temperature is the warmest. You can definitely see whales in Glacier Bay, however, as with all wildlife, what you see will depend on luck.